While there were standard ghost stories, tales of haunted schools, and mythical suburban legends; we noticed an unnerving trend among the subjects of our discourse (Look, fancy words!). A lot of things that terrified us are from seventies pop culture. I’m not event talking about the stuff people would flip out about after getting high. I’m talking about stuff that was considered children’s programming. I realize it was a different time, and parents weren’t as concerned with stuffing politically correct programming down their child’s throats, but come on. Some of the stuff on this list is downright terrifying even to this day. When it premiered in 1969 Sesame Street might as well have been located on what called “the bad side of town”. The show aimed to portray an inner city life style while providing educational programming for toddlers. As such, it was a gritty reboot before it was cool. The place was as urban as it got, and possessed all the trimmings of New York in the 1970’s. 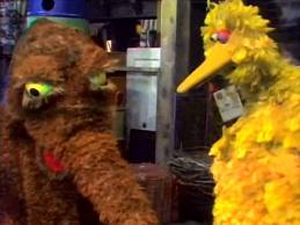 Homeless people living in trash cans, a monster that would eat anything and gay puppets were the norm. 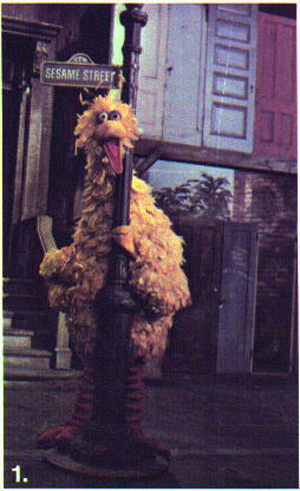 Also, Big Bird looked he was ready to murder somebody. 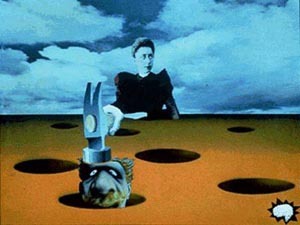 Despite it the off putting visuals (Thanks for the nightmares Jim Henson! ), the show went on to become a critical and commercial success, continuing to teach positive moral and educational values to children all over the world. It’s a good thing it did, how else would they have paid for Snuffy’s cocaine addiction? I never saw this show as a kid, but my roomate Kevin told me about it. (Thanks a lot Kevin, I’ll knock on your door when I can’t sleep tonight). The gist of it is a boy named Jimmy is stranded on an island with a magical flute and singing trees. Oh. And there was a “dragon” known as H.R. 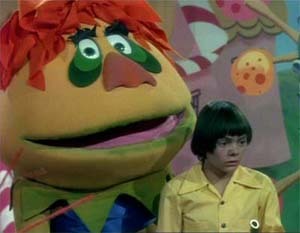 Pufnstuf. The show premiered in 1969 (what is it with this year and creepy puppets?) 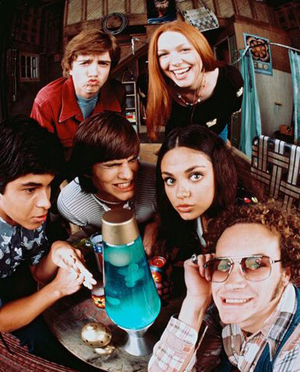 and continued airing throughout the early seventies and was a mix of live action characters and people in costumes. The kid who played Jimmy (Jack Wild) had a promising career ahead of him. In 1968 he won an academy award for best supporting actor for the roll of the Artful Dodger in Oliver!But after starring in H.R. 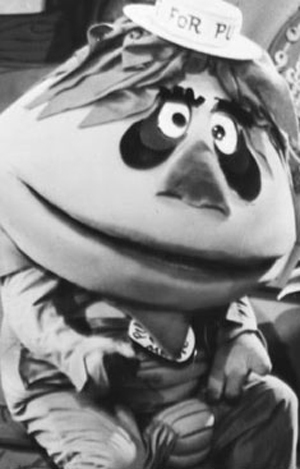 Pufnstuf he was never heard from again. Just kidding, he was fine. But that’s seriously a weird freaking dragon. 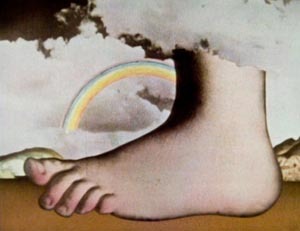 Monty Python is awesome, nothing else needs to be said. Anyone who’s ever invented their own silly walk or tried to calculate the exact velocity of a coconut laden swallow can attest to that. Make a farting noise to get the full effect. 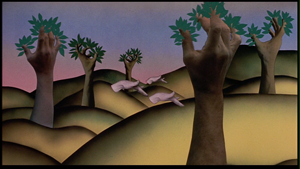 Gilliam’s style was surreal, and often alarming. Thanks to this guy, people thought they were on acid even when they weren’t. 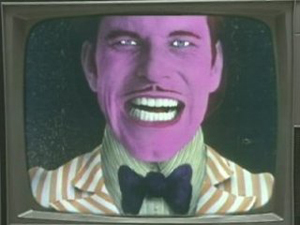 Words cannot express how mind numbingly bizarre his animation could be. Here are a few screen shots. Yeah, just take a quick Youtube break and look up some of his stuff. I’ll have the brain bleach ready for you when you’re done. While invented in the early 1900s, Claymation’s popularity rose in the seventies, really taking off in the late eighties. However, Claymation pioneers Will Vinton and Bob Gardiner opened their studio in the late seventies. Pretty much every popular Claymation film from the era was made by these guys. I can’t nail down what’s so unnerving about this animation form. Maybe it’s the lifeless look in their eyes or the way the characters shamble across the screen. I really can’t figure it out. But every holiday that I have to sit through a Rankin-Bass production I make sure to have an extra pair of undies right by my night light. 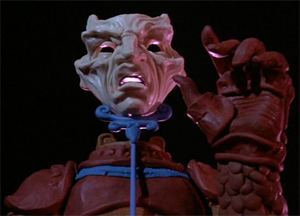 While from the eighties, one of the scariest short films I’ve ever seen comes from Vinton Studios. It’s from a film called Adventures of Mark Twain, and is based on his short novel called, “The Mysterious Stranger”. Oh, and it stars Satan. In the segment, he robs the innocence from time traveling Tom Sawyer, Huck Finn, and Becky Thatcher by teaching them about the inevitable end of all mankind! Here’s the link if you dare. Mwahahahahaha! 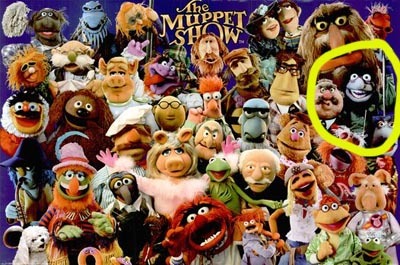 Congrats to Jim Henson, his puppets are creepy enough to have made this list twice. The show began its run on British television in 1976, and starred a crazy cast of fast talking, wise cracking, not quite marionette, not quite puppet, Muppets. All in all, it was actually pretty awesome. But wait, why did this show horrify me as a child? Why do I have this innate, almost primal fear of these zany, fluffy characters? Look at that picture again. Who the F@%! is that guy? Yeah. That guy right there, that’s Crazy Harry. He’s the cackling pyrotechnics expert for Muppet Theater. 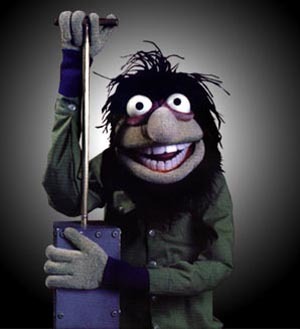 Whenever the Muppets need an explosion, this is the guy they call and he laughs the entire time he’s on screen . He’s crazy, he’s Harry, and just…damn he’s unnerving. What scared you as a kid? Leave your comments and links below!